Do you want a large SUV that can safely and comfortably transport your passengers and cargo in the Rome area and beyond? 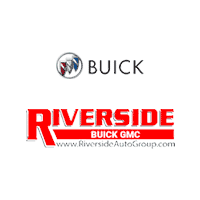 If so, it’s time to visit Riverside Buick GMC for a new Buick Enclave for sale. The 7-passenger SUV comes with a 3.6L V6 engine that produces 310 hp and 266 lb-ft of torque, and it’s paired with the standard 9-speed automatic transmission. Check out our inventory of new Buick Enclave models for sale below, then stop by our showroom for a test drive. Also available are upgradable features like leather seating, heated front seats and steering wheel, blind spot warning system, and so much more! The Buick Enclave has state-of-the-art safety features that have your passengers protected while on the roads in Acworth. If you’re ready to test drive a full-size SUV that can safely handle the roads, then visit Riverside Buick GMC today! We’ll take you on a tour of the new Enclave, its available features, then head out on a test drive. Our goal is to help you find the SUV that fits your needs the best, as well as create a finance plan that will make the purchase possible. Contact us today to schedule a test drive, or to learn more about the Enclave.